The picture reminds me of many an Old Masterpiece, (Brown received his training in the Lowlands); it’s like one of those dramatic scenes from mythology or the Bible, populated by characters ranging from angels and cherubs through to kings, prophets and gods. Brown’s genius was to populate his painting with ordinary folk engaged in everyday occupations in a contemporary setting, like in a Dickens novel. Another influence for Brown at this time were the social commentaries of Hogarth, pictures which are full of drama. “Work” is more than a snapshot of a street scene: there’s an epic drama unfolding before us. 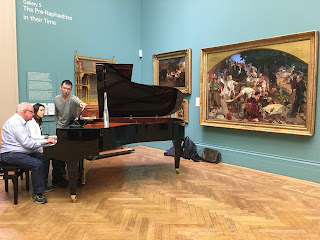 The great musical model that I had in mind while writing this piece were the countless arrangements for piano duet that were made in the nineteenth century; arrangements of the symphonic repertory, from Haydn, Mozart and Schubert through to Beethoven, Brahms, Mendelssohn and Schumann. Playing these was a major part of my musical education. These arrangements were originally made to help satisfy the demands of domestic music making - every Victorian drawing room had a piano but comparatively few had access to orchestral concerts - and two competent players could attempt an arrangement of a symphony and play it together effectively, whereas a solo performer would have needed to be more virtuosically advanced. 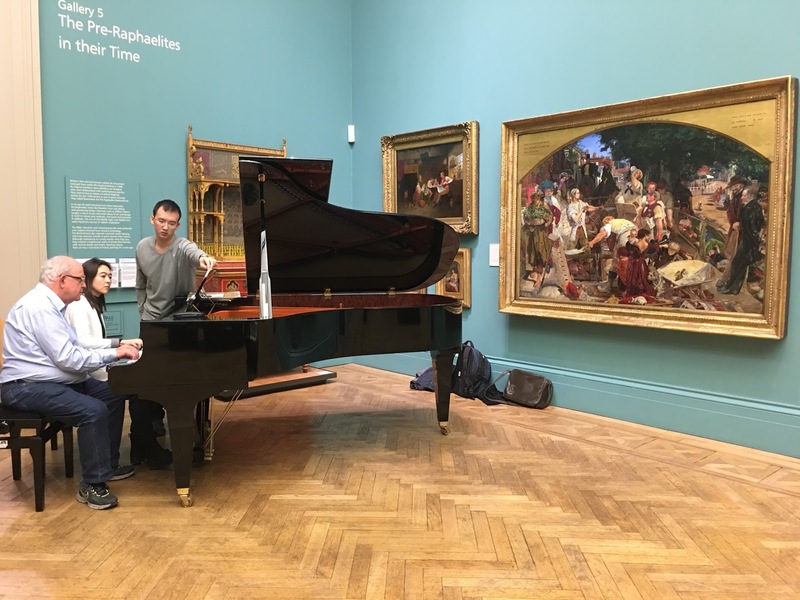 So there is almost an illusion at play here: the intimate medium of a piano duo can hint at something larger than the sum of its parts - like those orchestral arrangements I played as a teenager. So, from the start, I aimed to portray the ‘bigger’ picture: the enormity of the labour, the toil, the industry, the workhouses, the poor laws, the death rates, the starvation - and also the vision, the intellectual energy, the designers, architects, builders, even the financiers who put up the money. So, for the finale I realised I had to write a fugue, a device traditionally employed by composers at moments of great intensity. 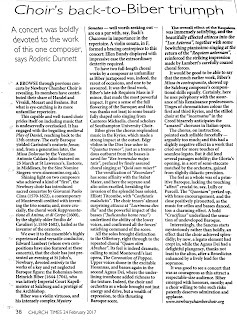 It celebrates a composer’s skill since it will contain lots of musical twists and turns which require great concentration on the part of the audience. It requires even more skill from the performers and this can give a fugue great entertainment value.